Consumer Watchdog: Who’s the fool? Who’s the greater fool, the person who buys Bitcoins today or the person who does not? 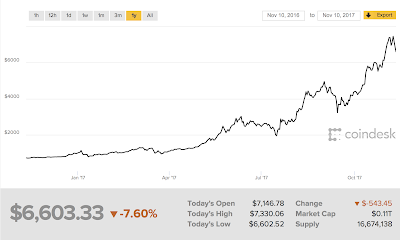 As I write this, last Sunday, the value of one Bitcoin had just reached $7,443, over P78,000. 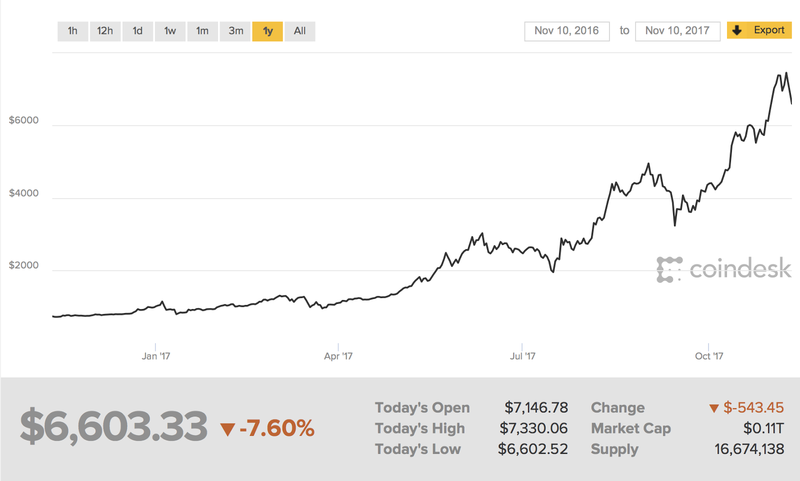 A year ago, you would have been able to buy one Bitcoin for less than a tenth of that amount, just over $700. If you’d bought into it then, your money would have grown more than tenfold. Even if you’d bought some just six weeks ago, you still would have doubled your money. The "out there" element is very new and innovative. The blockchain, the online database of Bitcoin transactions that records and confirms every transaction ever performed between people using Bitcoin, is hosted all over the world, not in one place. There is no central repository of these transactions, they’re all over the place. That’s the “distributed ledger” you’ll hear people talk about. That idea is truly revolutionary and will probably play a role in many new ideas in the near future, not just cryptocurrencies like Bitcoin. An obvious major concern with Bitcoin is security. As we understand it now, the technology underpinning Bitcoin seems highly secure but anyone who says that a particular security protocol is fool-proof hasn't read their history books. All security technologies will be cracked or hacked sooner or later and if a flaw is ever discovered in Bitcoin's security mechanisms it would be instantly worthless. Say goodbye to your money. The fact that it’s completely unregulated is another concern. If a conventional currency like the Pula, US dollar or Euro showed signs of failing, central banks would do something to support it. We've seen that happen before in various countries when their currency has been under threat. But with Bitcoin, there's nobody to help you. What’s more, when you spend Bitcoins instead of conventional banking systems there are fewer payment protection mechanisms available to you. There are no rights to refunds and no chargeback mechanisms. In December 2013, the European Banking Authority warned consumers that "No specific regulatory protections exist that would cover you for losses if a platform that exchanges or holds your virtual currencies fails or goes out of business." Perhaps more importantly there’s a very dangerous thing happening with Bitcoin right now as you read this. Hysteria. If you get the chance, go to Wikipedia and look up “Tulip mania” and you’ll see a story of the absurd rise in prices of tulip bulbs in the Dutch Republic in 1637, one of the first examples of what economists call a “speculative bubble”, when the price of a commodity increases rapidly, far beyond what logic and reason suggest is a valid price. That’s what happening with Bitcoin right now. The price people are paying is utterly absurd and has no connection to reality. That’s what often happens in economic bubbles. It happened in the property market, it happened with tulip bulbs and it seems to be happening with Bitcoin and some of the other cryptocurrencies. There is simply no justification for their current value. It’s not connected with the value of any real commodity, the performance of any country’s economy or any share price index. Its value is solely determined by whatever the current “fools” will pay for it, hoping that there will be greater fools in the future when they choose to sell. But there’s bad news about economic bubbles. Like their distant cousins, pyramid and Ponzi schemes, they all eventually burst leaving their investors depressed and poor. I’m certainly not qualified to predict when this will happen but I know that it will happen sooner or later. I doubt that Bitcoin will disappear soon but its value must eventually drop to a value that’s based on reason and genuine market pressures, not just hysteria.